Laura Murray was six months pregnant when she and her family packed up to stay with relatives in Cranford before superstorm Sandy made landfall. Seawater, mud and sand took their place, overwhelming the Highlands home where they’d raised their young son, Colin, and where they were hoping to make more memories with his little sister. The family got home quicker than most. Their now-2-year-old daughter Grace never stayed in a hotel or apartment. 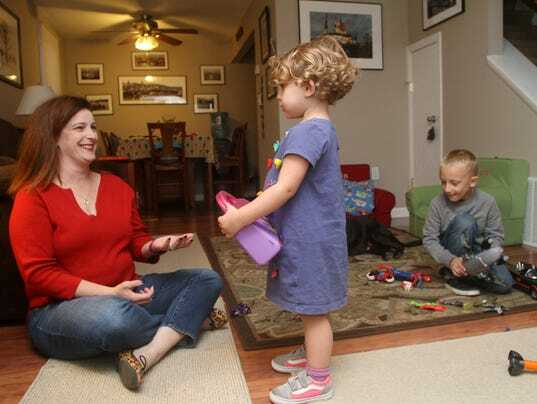 Laura and her husband Tom went straight from the hospital in early February 2013 back to Barberie Avenue, where their home had been mostly rebuilt. That kind of expediency wasn’t cheap. Three years after Sandy, the recovery along the Jersey Shore depends not just on who you ask, but on where you look. Boardwalks, harbors, highways and infrastructure that were left in shambles after Sandy have been rebuilt. The local tourism industry has mirrored the Shore’s recovery. Business owners last summer bathed in near-perfect weather and new, family-friendly events that drew visitors on a pace expected to easily surpass 2014. But the same level of recovery hasn’t materialized for many homeowners. Nearly one-third of families displaced by the storm either still aren’t home or don’t ever expect to be, according to a new Monmouth University poll. Even for those who have returned, Sandy’s legacy continues to manifest in frustrating ways, such as endless government bureaucracy or life-altering debt. Before Sandy, the Murrays had socked away some money toward a new house, one that could better accommodate their growing family. That’s no longer in the plans, she said. Hope turned to depression turned to anger: Three years out, many Superstorm Sandy survivors are still displaced, and with money and other resources running low, some may never return home. Her colleague, Stephanie Mulfinger, LCSW, Director of Call Center Services MHANJ, said the calls are fewer these days, but the struggles for many persist. A Rutgers/NYU study the institutions co-led was released in July 2015. According to the study, more than 100,000 residents had damage to their primary residences. The study found 27 percent of those persons had moderate to severe mental health distress, and post-traumatic stress disorder (PTSD) was found in 14 percent of that population. The report quotes David Abramson, the study’s lead investigator. Green-Ferrante said that clients immediately after Sandy had a sense of urgency and purpose, that the focus was on filling out the right paperwork, making the appropriate plans to get “back to normal.” But as time passed and plans collapsed, the stresses of losing so much started to weigh on people. Even just the trauma of surviving Sandy poured out of people. One man who has been seemingly doing well, six months after the storm, broke down and cried; he recounted walking through waist-deep water with his child on his shoulder. The rising anger isn’t necessarily directed at a person, either. While not everyone who suffers from some sort of mental illness will fall into drug or alcohol abuse, people who have used or abused alcohol or drugs in the past are more likely to turn to those things to cope after a major catastrophe, said Dr. Petros Levounis, chair of the Department of Psychiatry, New Jersey Medical School. He referenced one study that said people who were already in a good opioid abuse or prescription pill abuse recovery program did extremely well in continuing their care despite disruptions to clinics and pharmacies after Sandy. Those who did have good care had a minimal increase in relapse. Several groups exist to help with mental health issues, and are focusing on those impacted by Superstorm Sandy. A weekly support group and workshop called “Grieving with Hope” is for individuals who survived Hurricane Sandy. The group meets 7:30 to 9 p.m. on Wednesdays at the First Presbyterian Church, 701 Forman Avenue in Point Pleasant Beach. Topics include ways to cope with grief, how to adjust to new realities, healthy management of anger and positive thinking strategies, among others. The Mental Health Association in Ocean County offers the weekly sessions. No cost to attend. For more information, contact Pat Greeley at 908-872-5096 or pgreeley@mhanj.org. 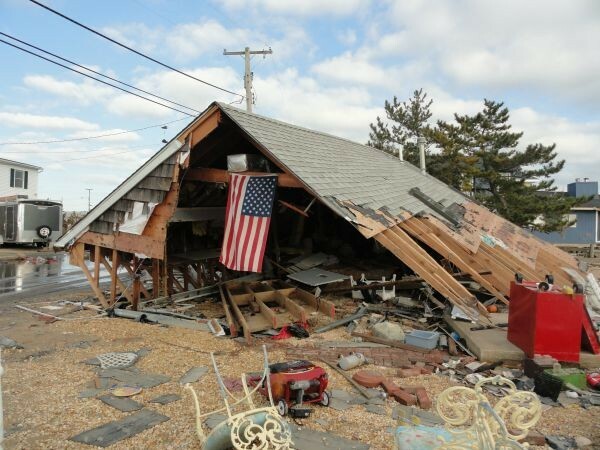 Ocean County Long Term Recovery Group is a nonprofit organization helping homeowners still struggling after Superstorm Sandy. They work with local community partners to fund unmet needs and work toward a safe and secure recovery. They are committed to helping qualified clients restore their homes and rebuild their lives. Contact 732-569-3484 or email info@oceancountyltrg.org. Get Help Requesting A Sandy Claim Review! If you filed a flood insurance claim after Superstorm Sandy and you were not satisfied with the amount of money you received from your insurance company, you can request a review of your claim through FEMA. The Federal Emergency Management Administration just agreed to extend by 30 days the deadline to apply to have a National Flood Insurance claim re-examined. The Ocean County Long Term Recovery group has volunteers available to help you through the process at a clinic Thursday — today — in Stafford Township. The Ocean County Long Term Recovery group says community advocates will provide one-on-one assistance and lawyers and insurance experts will be present, but they ask that you make an appointment. The clinic is set for 2 p.m. to 6 p.m. at St. Mary’s of the Pines, 100 Bishop Way, Manahawkin, NJ 08050. Appointments are recommended and can be made by calling 732-569-3484, ext. 24. Walk-ins are welcome on a first-come first-served basis.